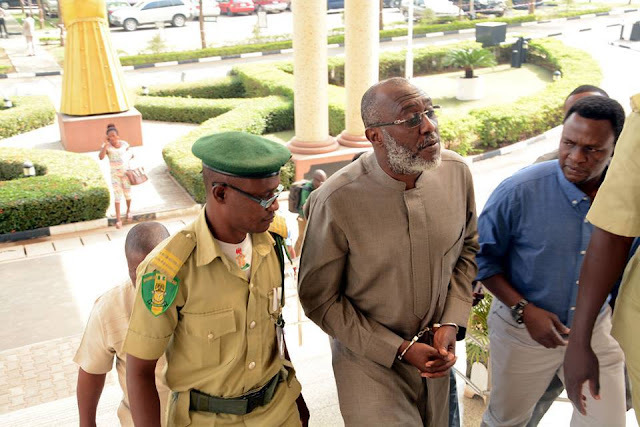 Report according to Daily Post has it that the Economic and Financial Crimes Commission, EFCC, will today arraign the National Publicity Secretary of the Peoples Democratic Party, PDP, Chief Olisa Metuh, before the Federal Capital Territory High Court in Abuja over charges bordering on destruction of evidence, The Punch reports. The EFCC claim that Metuh tore his written statement and attempted to chew same while being investigated over money laundering allegations. A Federal High Court in Abuja had remanded Metuh in Kuje prison pending when he fulfills the bail conditions imposed on him earlier charges for which he is being prosecuted. The PDP spokesman was arraigned before the court for charges of money laundering involving N400m, which was alleged to have been part of funds meant for procurement of arms which he was claimed to have collected from the office of the National Security Adviser, NSA.